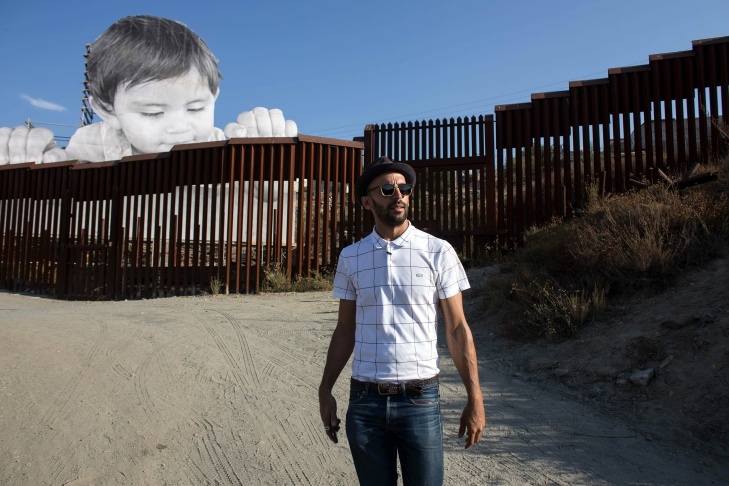 French artist JR is pictured near his artwork on the US-Mexico border in Tecate, California, United States on September 6, 2017. 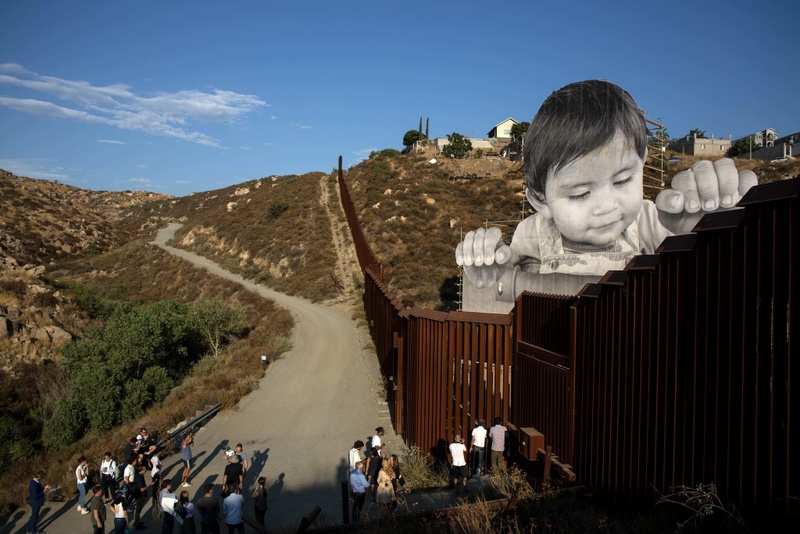 French artist JR walks near his artwork on the US-Mexico border in Tecate, California, United States on September 6, 2017. 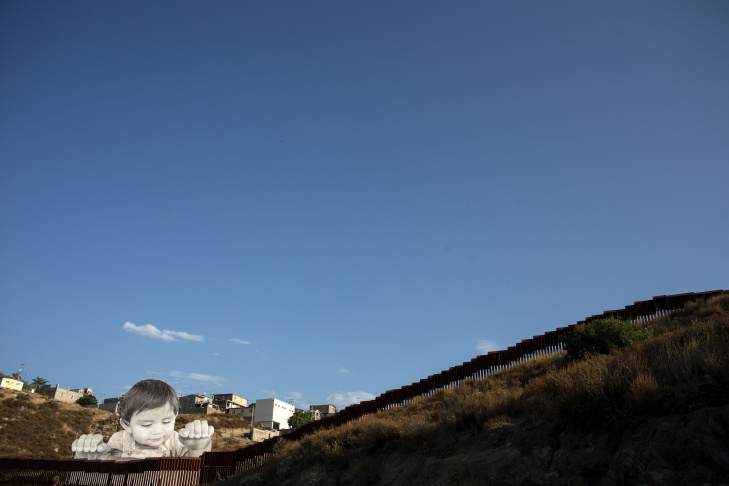 View of an artwork by French artist JR on the US-Mexico border in Tecate, California, United States on September 6, 2017. 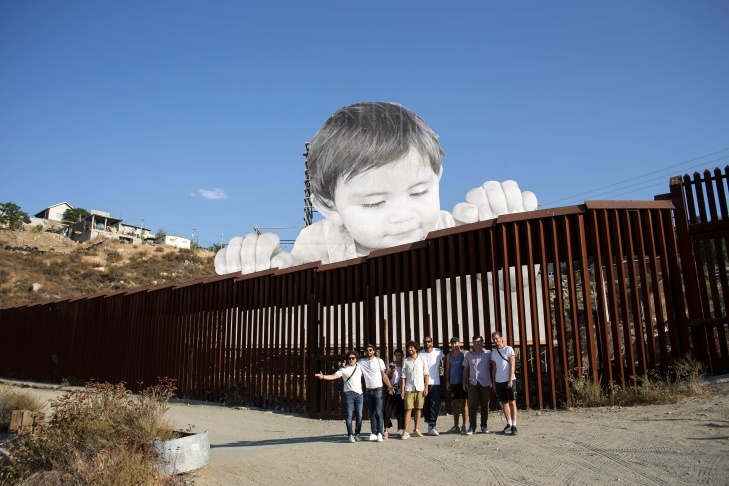 French artist JR (2-L) poses for a group photo near his artwork on the US-Mexico border in Tecate, California, United States on September 6, 2017. Sometimes called the French Banksy, visual artist JR is known for his larger-than-life black-and-white portraits, which he pastes on walls in public places. He told The Frame's John Horn at the Telluride Film Festival that he was working on a new piece — but he wasn’t sure if he’d be able to pull it off. 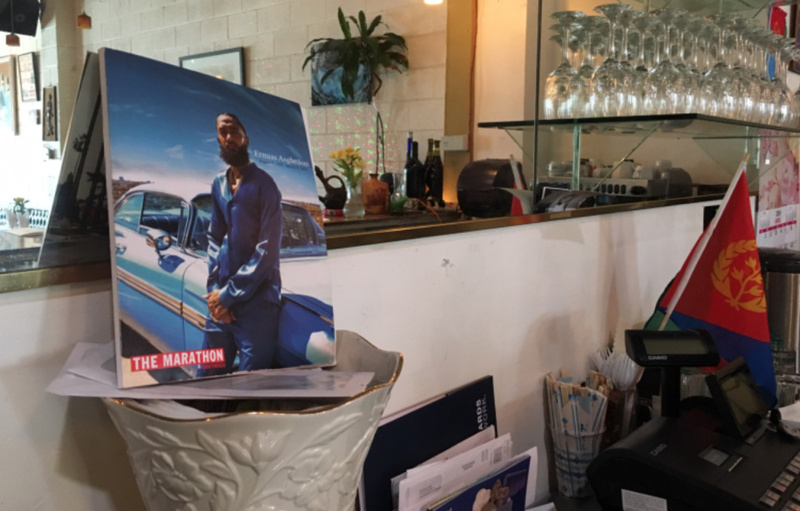 "A lot of my projects, actually, I never get to announce them earlier because I got arrested many times," says JR. "There is a chance that it won't happen and I'm always fine with that... I'd rather have this possibility of failure. 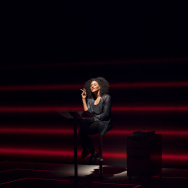 And, as an artist, it pushes you to always look for new boundaries and explore new territories." This week, he installed his newest piece, located at U.S.-Mexico border in Tecate, and, luckily, he wasn't arrested. 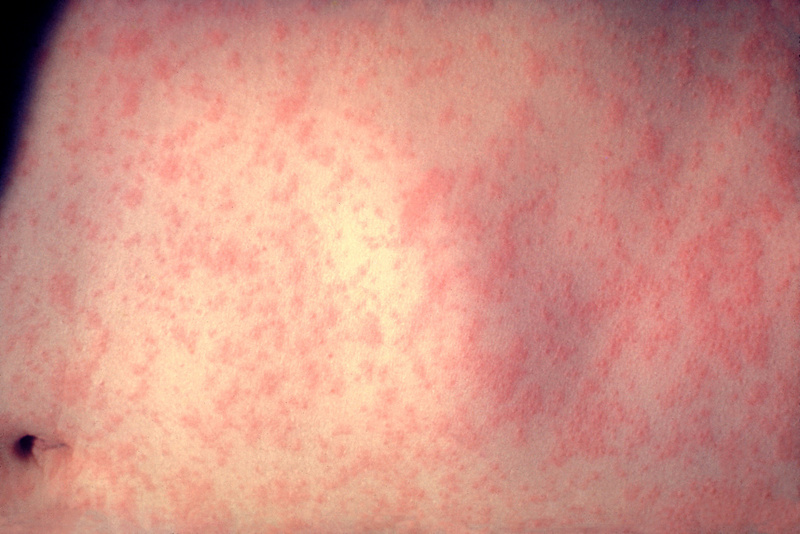 The work is a massive, billboard-sized photographic cutout. 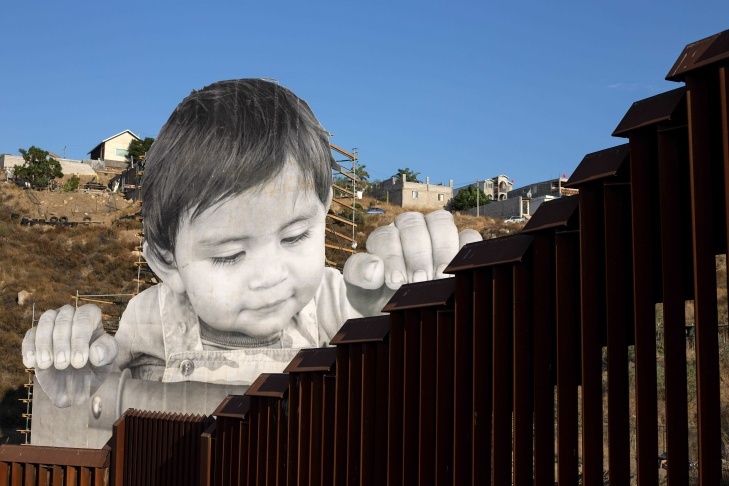 It features a 1-year-old toddler, nicknamed Kikito, who seems to be peeking over the border wall onto the U.S. side from Mexico, his fingers resting on top of the wall. 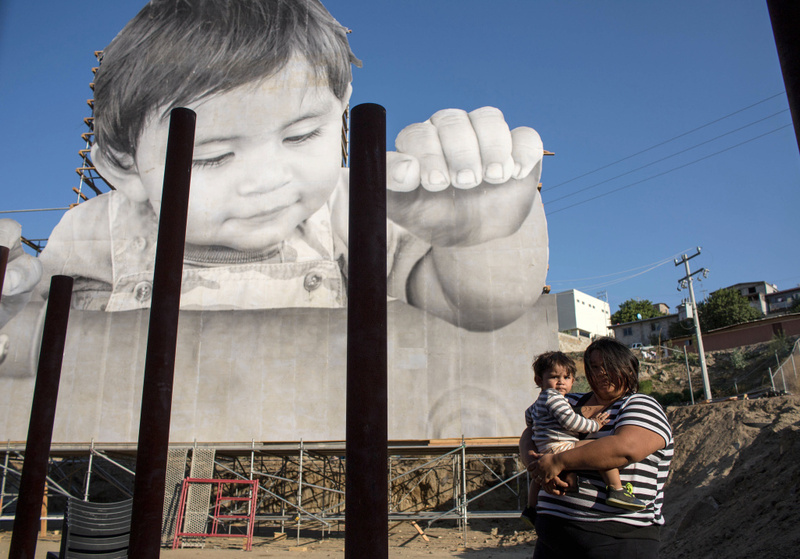 Lissy and her son Enrique Achondo, who was pictured by French artist JR for his artwork, poses for a picture on the Mexican side of the US - Mexico border where the giant print of Enrique has been installed in Tecate, Baja California, Mexico on September 6, 2017. The installation coincided with President Trump’s announcement to end the Deferred Action for Childhood Arrivals program, known as DACA. At Telluride, he presented his film “Faces Places,” about a journey through rural France that he made with filmmaker Agnes Varda. He left for Mexico the next day and posted a video of the work-in-progress on Tuesday on his social media accounts. 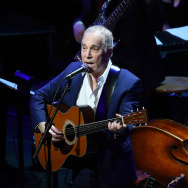 "I think the point of an artist is to raise questions not necessarily give answers," says JR. "In my case, when I went first and scouted the wall in the bottom of Mexico and U.S., like many other people, I thought there was no wall because Mr. Trump is talking every day about building a wall. But there's actually a fence that is there for awhile and he's just talking of making bigger and making longer." 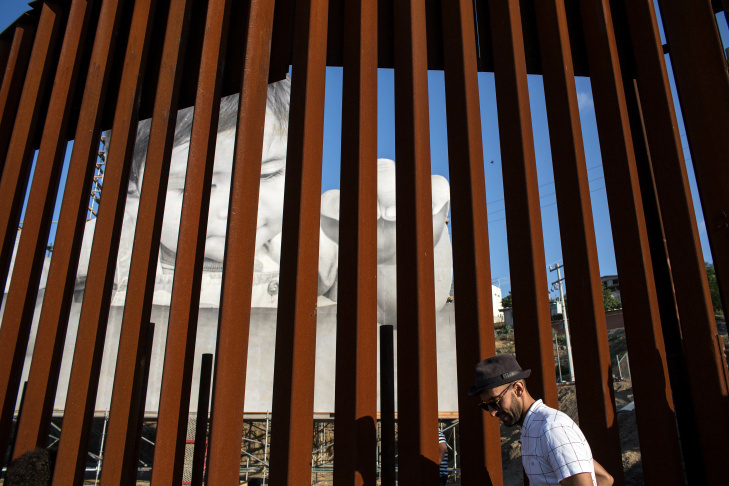 People attend the inauguration of an artwork by French artist JR on the US-Mexico border in Tecate, California, United States on September 6, 2017. JR will be at the art gallery Blum & Poe in Los Angeles on Thursday, September 7 to talk with curator Pedro Alonzo about how immigration influences his work. To listen to JR discuss his art installation, click on the player above. To view more photos of the installation, click on the slideshow above.